An incoming, unsettled weather system projects the glow of early morning sunlight while promising the rainbow’s end. The meaning of fun is open to interpretation, of course. While I’m sure tourists aboard the Maid of the Mist have a whale of a time sailing into the mouth of the Horseshoe Falls at Niagara, Ontario, my fun is experienced observing from a safe distance while attempting to capture a memorable moment. Hawaii is beautiful enough, but when you top it off with rainbow sightings several times a day, well, that’s just the cherry on top. We have had the most spectacular autumn. The fall colours have been almost iridescent under the canopy of blue sky and brilliant sunshine that has been, for the most part, our weather experience. The past couple of days have marked a sharp turn in our meteorological fortunes and some areas of Ontario have been under snowfall warnings. 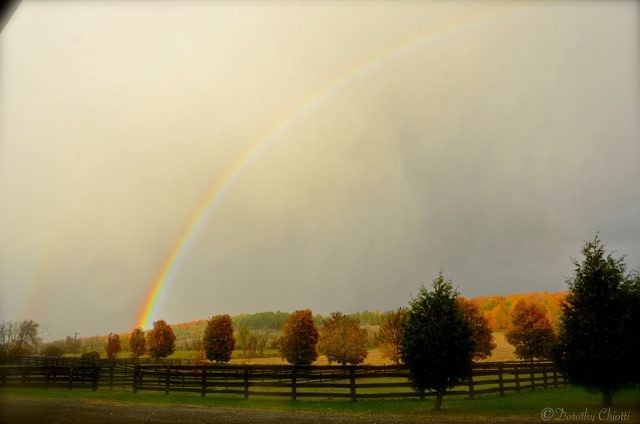 Yesterday a dramatic cloud front passed by our farm which, between the fall colours, filtered sun, dark clouds, distant precipitation and partial double rainbow produced the most extraordinary light. Is there anything more extraordinary than the moods of Mother Nature? 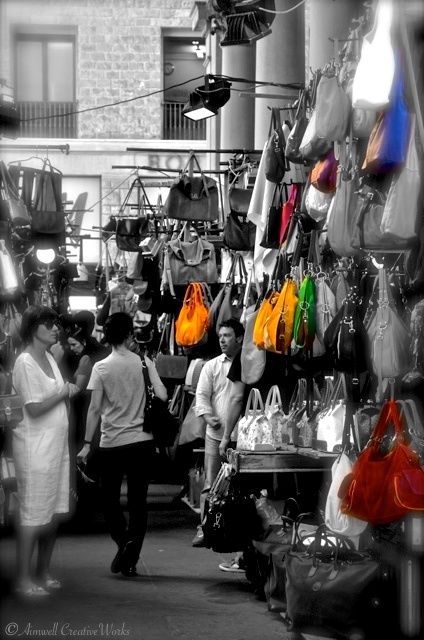 A rainbow of choice at the Mercato Nuovo in Firenze.